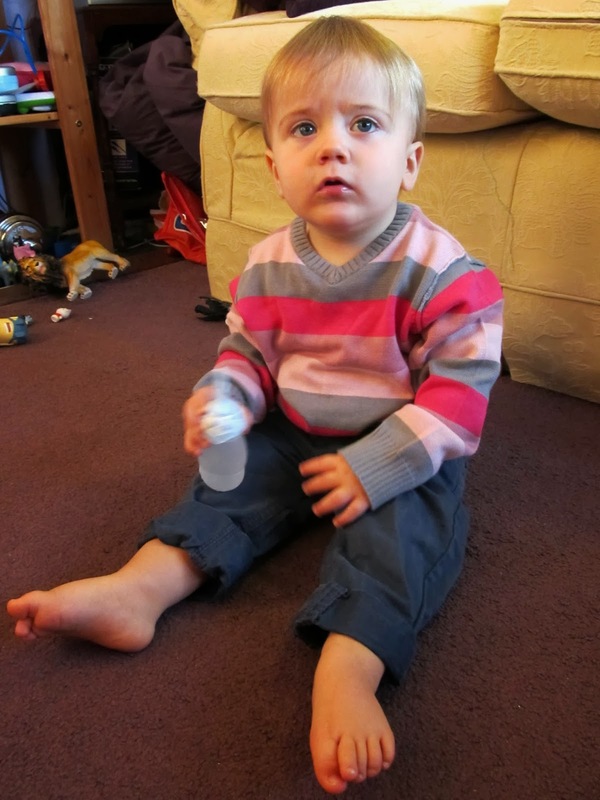 Hmmm... elasticated trousers... pink stripy jumper... he's beginning to look a bit like my Mum. Although the only time she goes barefoot is at the chiropody clinic. She does spend a lot of time rummaging around in the loft though, so they have that in common. Anyhoo, Lisa informs me that there's absolutely nothing wrong with dressing your son in pink, regardless of whether or not he's at an impressionable age, and that Toby is entirely secure in his own gender identity. And besides, that jumper was half price in a sale. Possibly a sale of girl's clothes. Personally I'm hoping he spills spaghetti bolognese down it sooner rather than later, and it ends up stained beyond recognition and fit only for use as a car-cleaning rag. Not that I'd be seen dead cleaning my car with it. I already look a bit like Huffty from The Word, so pink is probably best avoided. Along with dungarees. As it happens, Toby's not the only one in the pink today. As of this morning, Amelie's been offered an exclusive modelling contract with a major organisation. No, not Prada, Chanel or Dior. It's actually East Sussex County Council. I had an e-mail this morning from their head of fashion (or something) asking if they can use a photo of Amelie from this blog to promote the St Leonards Children's Centre. You can't put a price on publicity like that, which is why they're not offering to pay me, but in an effort to put the Phil back into philanthropy, I've said a resounding yes. There's every chance it could lead on to other things, and by this time next year, Lisa could be the face of refuse collection. 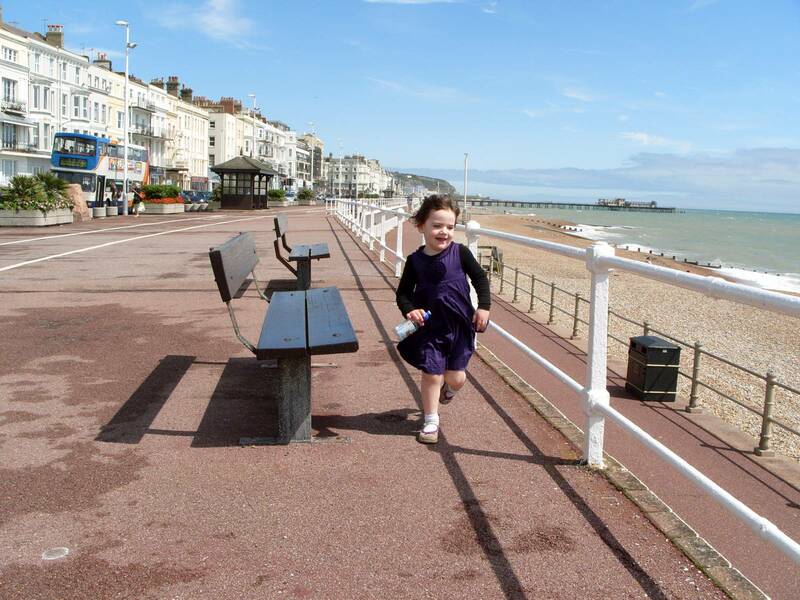 The picture they're interested in is this one from August 2011, which shows Amelie fleeing the (possibly sub-standard) child services of Hastings, and running towards a brighter, more supported, future at the excellent facilities of the St Leonards Children's Centre. 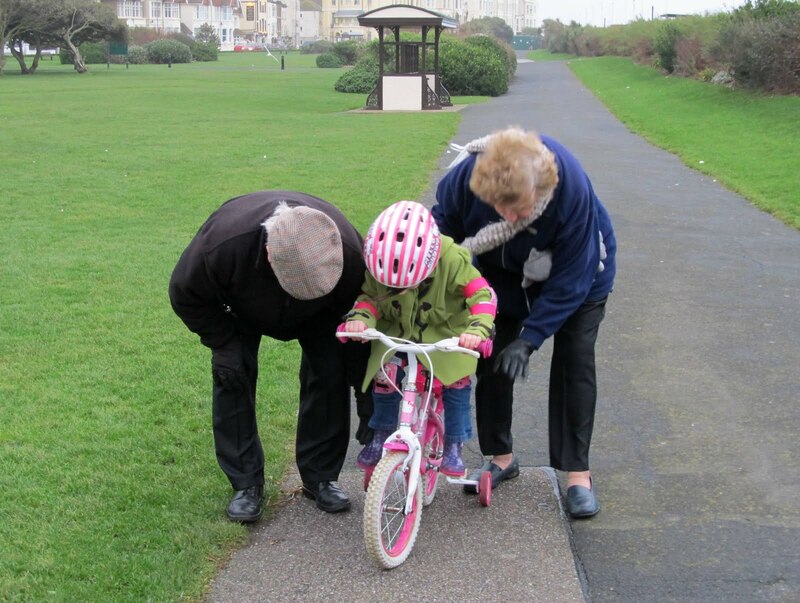 Fortunately, in addition to early years education, childcare advice and parenting support, East Sussex County Council also provide services for the elderly and infirm of St Leonards. So if it's seafront photos they're after, I'm hoping to interest them in this one. A couple of hundred years ago, little boys were dressed in pink, being a toned-down version of warlike red. And they wore frocks. I have no idea why Disqus calls meKaa56sgds4, but if I knew how to pronounce it, I'd adopt it permanently. C'est Z.
I find 'Z' a bit easier to spell. past stylus it as a monitor substance in an mischance but cipher beats buying online. virtually online stores hold been in operation. apparently, it is victimized to a finer trope to expected buyers. Duron Harmon Jersey Zac Stacy Jersey Alshon Jeffery Jersey Carl Banks Jersey Dwight Clark Jersey a coat up and blemishes from occurring. potency in sexual activity to your calculate aim all dampen your spices' flavour.